Do you use air fresheners in your car? With two dogs, the reality is that sometimes my vehicles don’t smell as amazing as I would like, especially after a long trip outside. The girls can’t help it, sometimes mother nature has a lot of interesting smells, including our personal (un)favorite – wet dog. While there are a variety of air fresheners out there, many of them upset our girls’ noses and give me headaches, leaving us with not a lot of options when it comes to making all of us happy. One thing I have found that our girls do like though is essential oils, especially ones that aren’t too strong. 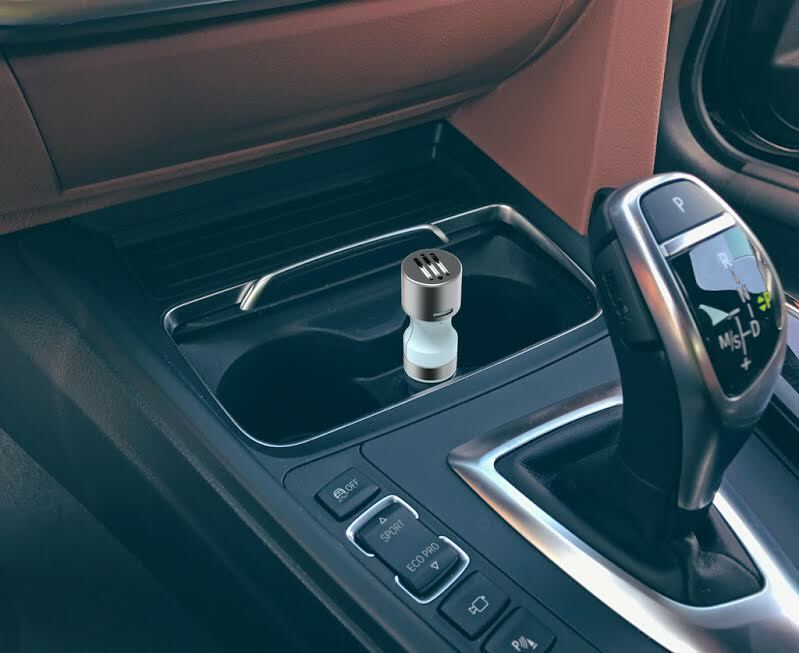 Recently, we found the perfect solution that seemed perfect for everyone in our family – the Invigorate Car Essential Oil Diffuser. 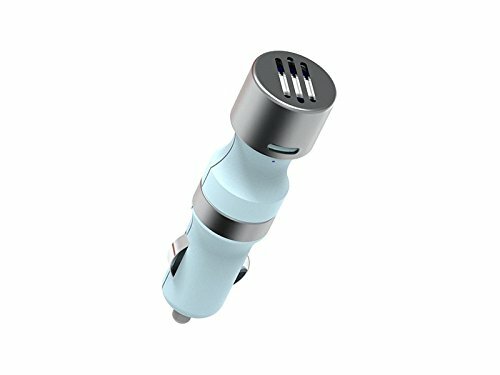 Invigorate Car Essential Oil Diffuser: What is It? Looking for an eco-friendly way to freshen your car without using overpowering, headache-inducing car fresheners? IF so, we think you will love the Invigorate Car Essential Oil Diffuser. 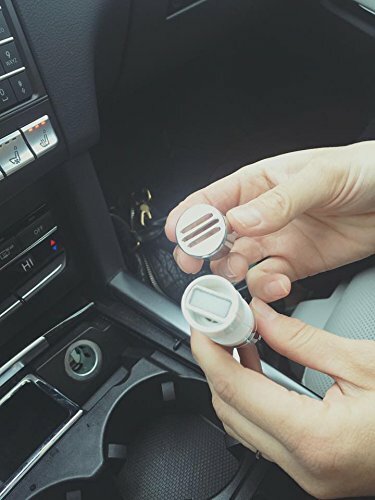 This innovative essential oil diffuser connects to the 12VDC power socket in your vehicle or in a USB slot in any electronic device, and will diffuse any essential oil you desire to make your car or room smell amazing. Using its patent pending airflow design, it distributes the oil to freshen just about any area. Best of all, you can use any essential oil, allowing you to customize the scent of your car to your mood or help relieve a bad headache on a long car trip. With the Invigorate Car Essential Oil Diffuser, the scent of your car or SUV is completely in your hands! Who knew that keeping your car smelling great could be so easy and eco-friendly? I will freely admit, this is one of the coolest products I have seen in a long time. Before this, I was buying expensive Scentsy air fresheners for my car, which honestly didn’t seem to really last more a week and have to later be thrown away. Not only was this wasteful, but didn’t seem to cure any of our smell issues in the SUV. With this car essential oil diffuser, I am able to make my car smell like peppermint or even grapefruit, which is not only relaxing, but doesn’t bother my girls noses when they are riding with me. My favorite part is the fact that it is 100% reusable, making it a $30 purchase that keeps on giving, especially since all it takes is a few drops of any essential oil (I love too that there aren’t ‘official’ essential oils). As someone who loves being as green as possible, I consider this a must for any vehicle, especially one that is transporting furry family members! 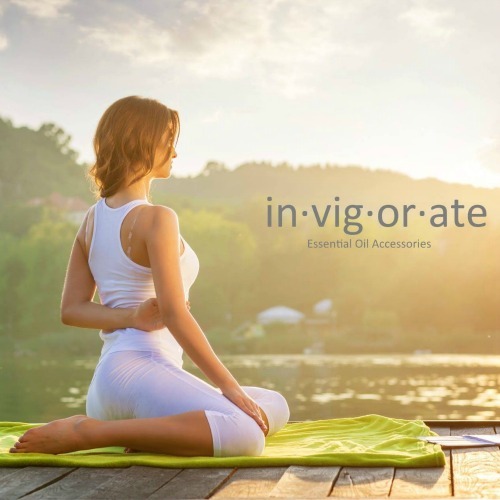 Invigorate Car Essential Oil Diffuser: Where to Purchase? Want to purchase this diffuser for yourself? You can buy it on the Invigorate Car Essential Oil Diffuser website for only $29.99 or on Amazon.com. Want to know more? Follow Invigorate on social media! 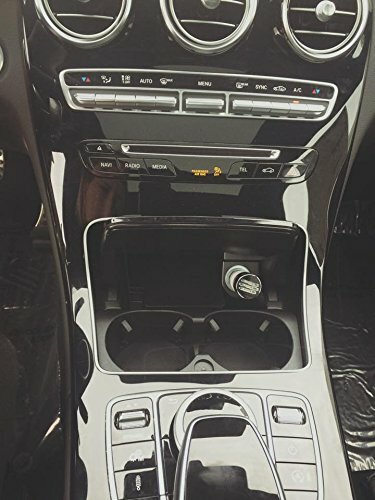 I would love to have this Invigorate Car Essential Oil Diffuser for my car. I use a diffuser in my home but didn’t know they made one to keep a car smelling nice! This looks much better than a car diffuser I had years ago! I love that you can put your own oils in and that it lasts! I could definitely use one of this in my vehicle, will definitely be checking out. My son’s car totally needs this. His car really stinks! This would probably work better in my husbands car then regular air freshener. I like this car diffuser. I am just learning the health benefits of essential oils from my girlfriends. This is brilliant! I love it when my car smells nice, but I feel bad about commercial air fresheners. They are full of questionable fragrances and chemicals. Being able to freshen my car with essential oils is a wonderful option! I love this idea! I even have an Amazon card that I got for Christmas that I haven’t used yet!!! I would love to have this in the car with a nice scent to keep u alert and awake refreshing scent . What a great product! I too find myself just tossing the air fresheners away after a week because they lose their potency. I usually get the ones that clip into the air vents. I have a ton of essential oils already, so this product would be awesome to have. Going to amazon now…..
love that this exists as the ones I have tried melt or fade out in less than a week. Love that this uses essential oils too. Sounds like a great and useful product. It would be nice to own an oil diffuser so that my car can smell like peppermint. I would love this! We have two diffusers in the house but miss out when in the car. It would be really cool to have something that I could use to scent the car and offer aromatherapy. I would love to try this out in our vehicle but I can’t see paying thirty dollars for that, I do love using essential oils though. I am sensitive to strong smells so it is hard to find car fresheners. I will definitely check this out! I like the idea of this so much that I went and ordered one from Amazon. I love this idea, I’m gonna buy one. Thanks for the introduction to this amazing product.It sounds lovely to me and I must check it out. This sounds amazing! What a great idea. We love essential oils in my house, and to be able to use them in my car is just perfect. I need one of these in my car, will definitely be checking this out. Thank you for sharing. I am just learning about Invigorate car essential oil diffusers from your review here. I want one now. I will have to get one to try out soon. Thanks! I would love to try this Invigorate car essential oil diffusers, I love a fresh smelling car. I will be ordering this soon! Thanks for sharing the information on the essential oil diffuser for the car. I think I would like to try grapefruit first, but peppermint would bd a good choice too. It sounds great.I will look for one soon for my car. I haven’t used one like this but it looks pretty good. I know most cars need some help in the smell department, lol, due to the fast food, sports equipment & everything else they carry. I want this diffuser! It’s hard to keep a car smelling nice with all the mud, salt, food, etc! I used to buy car fresheners all the time. The hanging ones, then Febreze came out with them, the jars. Now that I’m getting into essential oils, I think this is brilliant! Cars can get stinky. Especially if there’s a smoker. This might freshen it up some. I love this idea !! It would make my 11 year old car smell so much better. So perfect!! What an amazing way to diffuse oils wherever you go!! I know that I could really use a calming anti-anxiety oil while driving most days lol!! This is so cool! I didn’t know you could buy these. I’d love one since I don’t buy air fresheners because of the chemicals, but essential oils would be great to use. I have been hearing a lot about essential oils and diffusers lately. This is the first time I seen one like this. I will have to see if I can find one somewhere so I can give a try in my car. What a great idea to have a reusable freshener with fragrances that can be easily changed. I could certainly use one of these in my car. I would really like to try this. The fact that it is reusable is a big plus for me as I am really into recycling and reusing. I really like the idea. Being able to use it in both a power socket or USB slot makes it very versatile. Very neat, definitely need some invigorating scents in the car for those trips. I never saw a diffuser for the car – how cool is that. I would love one in my car. Nice idea, but we have no cigarette lighter in our car. My car never smells good anymore. To many fast food runs and kids maybe? Can’t wait to try this out. Looks like a great solution! This is really a clever and useful idea! I have used everything from spritzing essential oil to perfumes I no longer use. I must have this! This is the first time I’ve see it!